Companies across a broad range of sectors are back in hiring mode as business environment improves. Shortly after news broke out that Yahoo India was about to lay off 300 employees, social media, Twitter in particular, started buzzing with job offers for those who were being laid off. Several start-ups took to Twitter asking anyone from Yahoo India looking for a job to contact them. One example was this tweet from Deepinder Goyal, Founder, Zomato: "Yeah Who? We're (always) hiring." 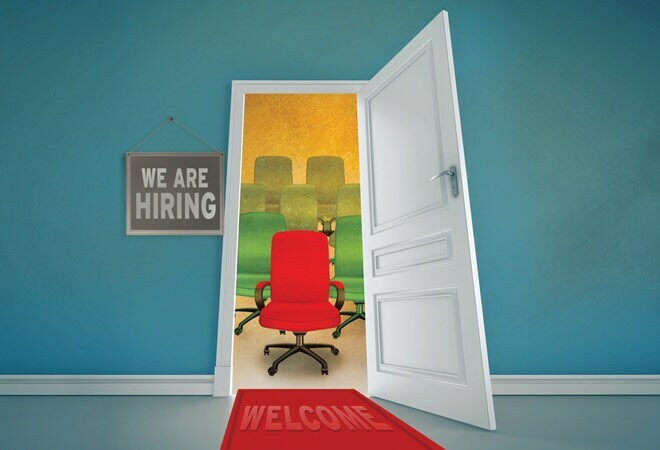 After several bad years, things are looking up on the hiring front in the country. Several surveys show that companies across sectors are planning to increase their recruitments in coming months. Data from Timesjobs.com shows 14 per cent growth in hiring in September versus August and Manpower employment data forecasts a 46 per cent rise in hiring for the October-December quarter. "The worst seems to be behind us and I am unable to see a situation where anomalies occur. There could be company-specific situations, but overall there is optimism," says V. Suresh, Executive Vice President and Head of Sales at job portal Naukri.com. He says there is demand for talent specifically in sectors such as e-commerce, social media and analytics. That is not all. Banking and financial services will create up to 800,000 jobs in the next few years. Rituparna Chakraborty, Co-founder and Senior Vice President at staffing company TeamLease, believes manufacturing is also likely to pick up given the government's initiative to push the 'Make in India' campaign. S.Y. Siddiqui, Chief Mentor and former HR head at Maruti Suzuki, says positive signs are visible in the auto segment and the momentum will build up by the end of this fiscal year. The oil and gas segment has also seen sustained hiring. Sanjay Singh, former HR director at Cairn India, says there is a shortage of talent in the oil and gas sector globally. "The sector needs specific people like drilling experts and hydraulic engineers, and this need is bound to grow exponentially," he says. The telecom sector is looking up, too. "The first two quarters [of this fiscal year] have seen a rise in hiring, driven by deployment of new technology, increasing focus on the enterprise business and demand for data services from both rural and urban markets," says Ashok Ramchandran, Director-HR, Vodafone India. Pharmaceutical and health-care segments are upbeat as well. "A combination of improving quality standards in industry and supportive policies has necessitated growth and need for added capacity," says Chandrasekhar Sripada, President and Global Head of HR at Dr. Reddy's Laboratories. Clearly, hiring across several sectors will not only remain stable but is bound to grow. Are e-tailers going all out on TV advertising?